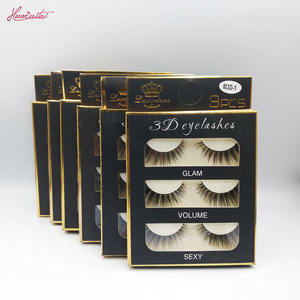 100% Pure Clear Band False Eyelash Lashes Private Label 3d A06 Product Advantage Product Show Customized package Product Display Best seller Large stocks Feedbacks If you are interested in our any style lashes,feel free to cantact me,i will try my best to give you the best service,i am waiting for you! 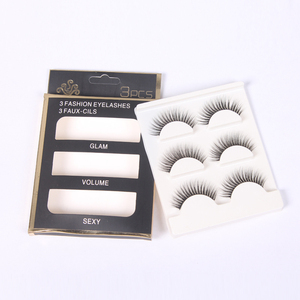 Qingdao iBeauty Arts & Crafts Co., Ltd.
Pingdu Yilin Eyelash Co., Ltd.
Alibaba.com offers 81,754 false eyelash pack products. 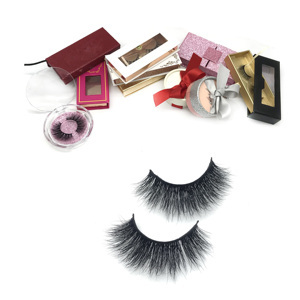 About 93% of these are false eyelashes, 2% are packaging boxes, and 1% are eyelash glue. 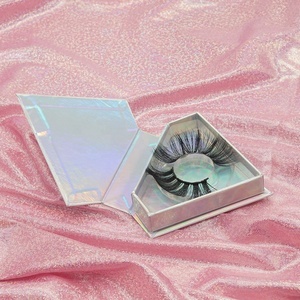 A wide variety of false eyelash pack options are available to you, such as hand made, machine made, and semi-hand made. You can also choose from fur, synthetic hair, and human hair. As well as from free samples, paid samples. 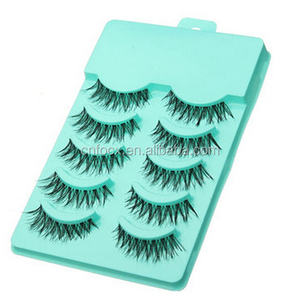 There are 81,740 false eyelash pack suppliers, mainly located in Asia. 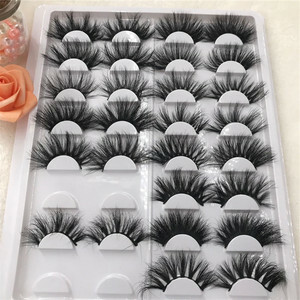 The top supplying countries are China (Mainland), Pakistan, and Indonesia, which supply 99%, 1%, and 1% of false eyelash pack respectively. 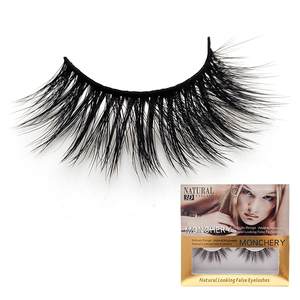 False eyelash pack products are most popular in North America, Western Europe, and South America. 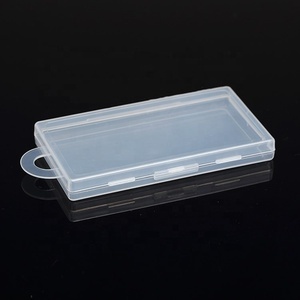 You can ensure product safety by selecting from certified suppliers, including 3,224 with ISO9001, 2,540 with Other, and 383 with FSC certification.